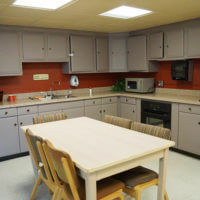 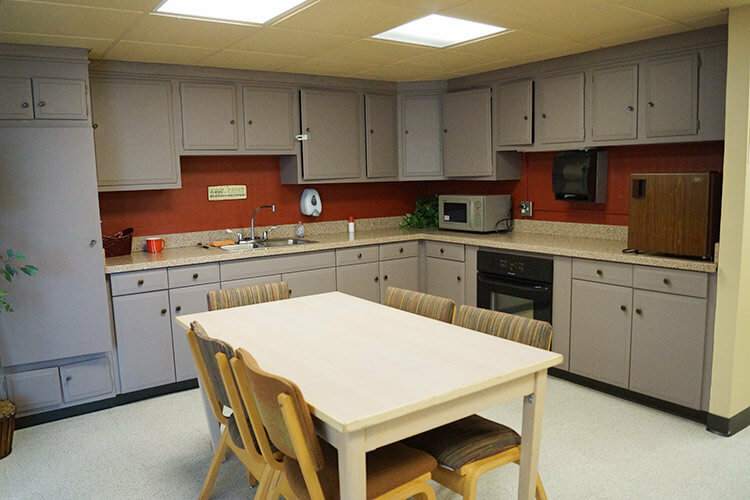 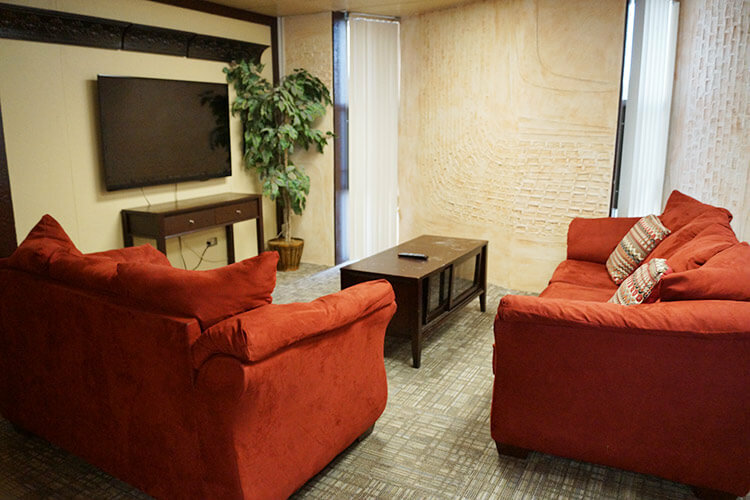 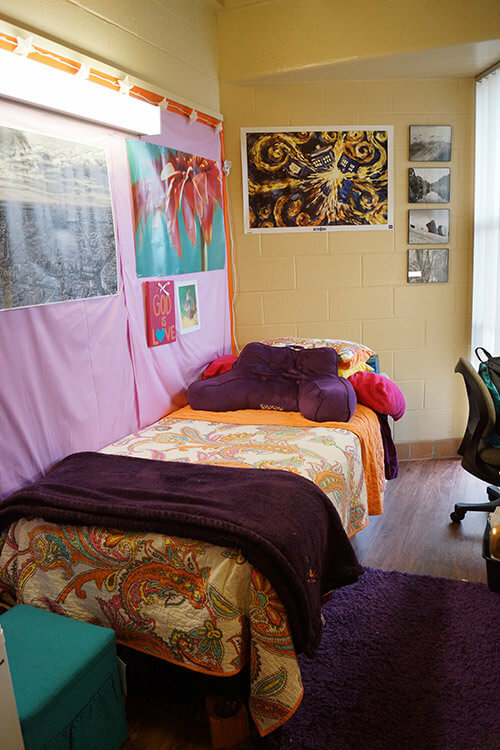 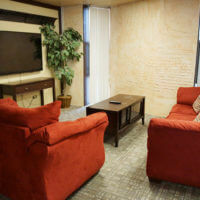 Treadaway Hall is open to all undergraduates and has private rooms and community bathrooms. 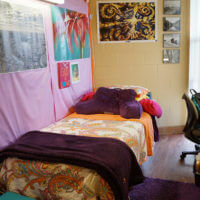 This hall is perfect for someone who likes a space to themselves with the ability to still feel connected to a community of students. 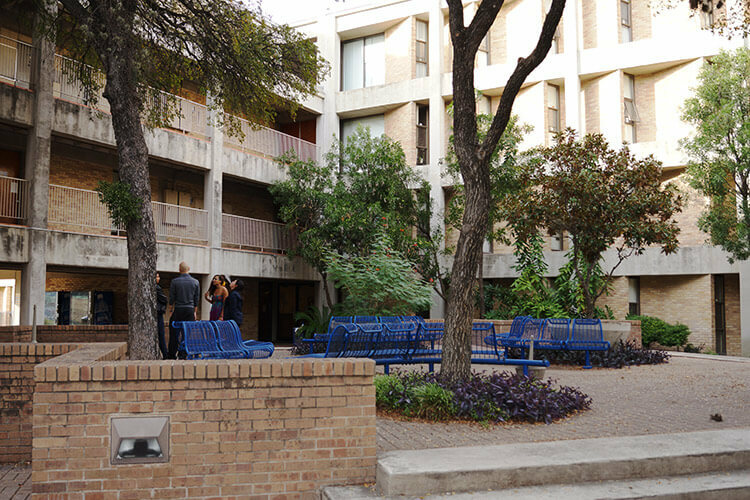 In this four-story building, students are assigned by the same gender by wing. 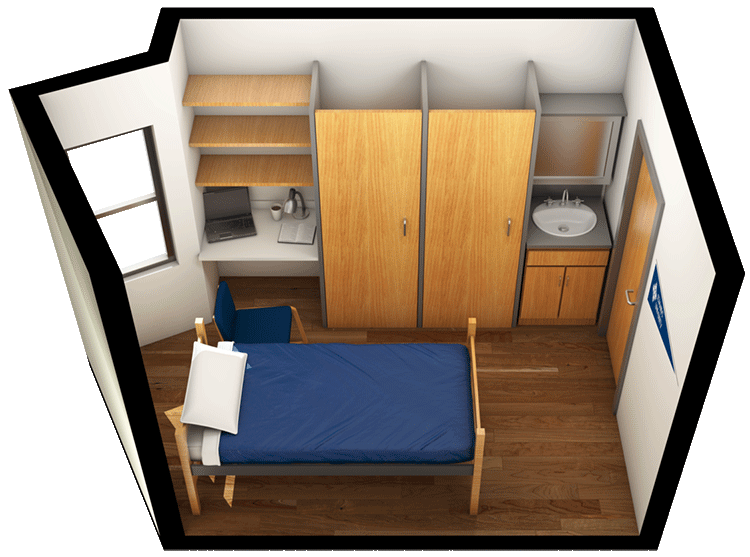 Each room comes with a built-in closet, drawers, sink, desk, chair and bed. 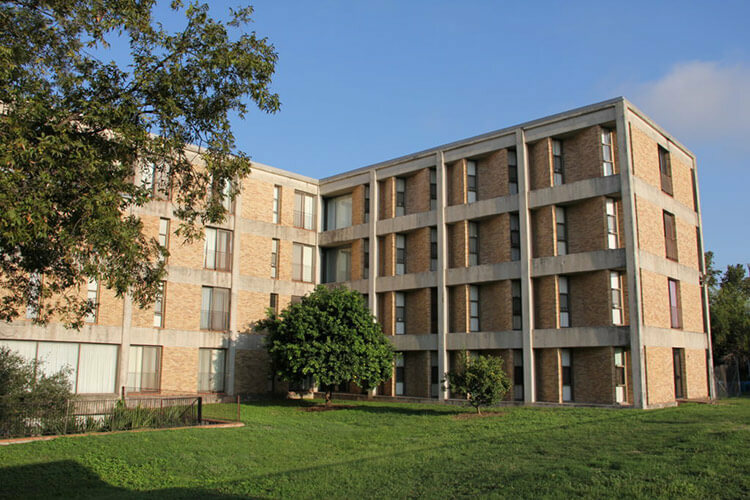 This building is a hub for many things going on around campus from Mass to concerts. 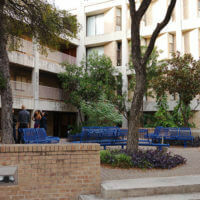 It is connected to Guadalupe Chapel, ROTC, the Music Department, Mail Center, faculty and staff offices and has a large courtyard with benches and picnic tables to enjoy.